This article was written by Mercer University Assistant Coach Jarred Merrill. Free throws are such a huge part of the game. They can determine wins and losses, as well as seasons. Unfortunately though, sometimes there is not enough emphasis put on them. Coaches and teams get busy with other areas and allow free throws to fall to the wayside. 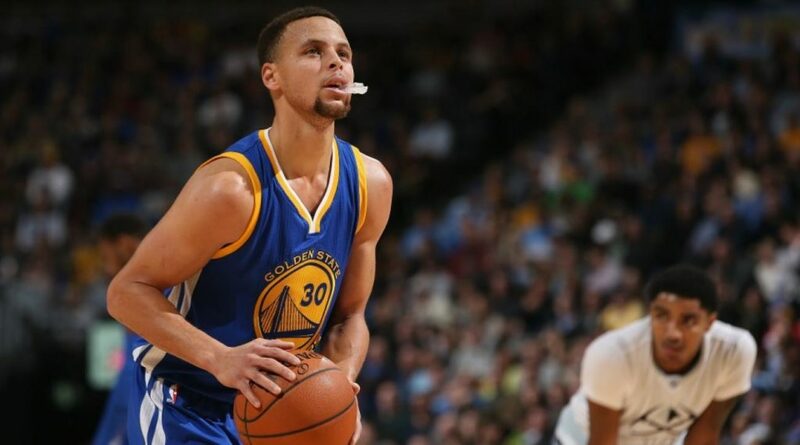 This article is going to challenge you to make free throw shooting an emphasis with your team, as well as provide you ways to help improve your team's free throw shooting. The buzzer sounds and your team has just lost a very competitive road game against the top team in the league, the score is 78-77, and your kids played their hearts out. Meanwhile, you and your staff make the lowly walk back to the locker room and prepare to address the team. Immediately upon entering the locker room, your Head Coach is asking for the stats, even though he knows that the stats take a few minutes to be printed and delivered to his hands, he is completely irate and visibly defeated. As the graduate assistant hastily walks in the locker room to nervously deliver the stat sheet, the Head Coach snatches the sheet and quickly notices his team has shot an abysmal 9-22 from the FT line. Not many things frustrate a coaching staff more than missed throws. However, as a staff, you cannot be upset with your team if you do not make it a DAILY emphasis in practice and individual workouts to enforce the importance of making FTs. Our 2016-17 team at Mercer University shot 78.5% on the season and was ranked 6th in the nation according to Ken Pomeroy. We also led the Southern Conference in FT percentage. Our player’s ability to make free throws allowed us to win or stay in games throughout the season. Unfortunately, even though we shot a high percentage as a team, it was our inability to get to the FT line at a higher rate during games that helped to contribute to some of our losses that year. We had multiple games where we went into halftime with four or fewer attempts at the line. Making FTs is very important but getting there speaks volumes to what your players like to do in your system. For the year we attempted 17.9 FTA’s per game, we would like to see this number rise to 19.5-22.5 attempts per game. We had a total of ten one-possession games, and the Mercer Bears shot 78.8% from the line. In 2015-16 we shot 74.2% on the season, the 2016-17 year’s team was the best FT shooting team we have had in 9 years. If we would've been able to get to the line at a higher rate, we would have been able to take advantage of our excellent free throw shooting. No talking or jacking around during these times, players tend to relax mentally during FT time, make sure they know how important it is! If the percentage is not achieved then make the team run, or if a certain basket has an awful percentage, you can make the four to five players at the basket run. Coaches must stand at individual baskets vigilantly giving confidence and correction on shots attempted. As coaches, we only get a hand full of program staples to insert into the player’s minds during practice, make sure that FT emphasis is one of them. Challenge your players as a staff to shoot 400-600 FTs per week, all while keeping a written tally of shots made and attempted, this can easily be done on their own time. Routine: We have all witnessed the bad FT shooter who spins the ball to himself, takes four deep breathes, dribbles the ball seven times, and then precedes to shoot the ball and miss the FT. I have always instructed bad FT shooters to keep the most simplistic FT routine as possible. Try getting players to take out all the “stuff” and eliminate the dribble from their shooting routine. By removing the dribble and other nonsense, the player is solely focused mentally on seeing the ball go through the net. Nail Hole: The nail hole has always been the starting point that coaches teach when talking about FTs. As a coach, you need to evaluate exactly where a certain player's natural shooting pocket is located, whether over the top of the head, at the forehead, or at the right or left ear, moving one or two inches to the right or left will produce more consistent results. Form: Consistently checking the release point and follow through is also vital; guys who do not make FTs are typically erratic and inconsistent on snapping the wrist and keeping the follow through the same every time. Keep the release point at or above a 55-degree angle, never up-never in, especially as the legs get tired during games. Create an emphasis on snapping the wrist and locking the elbow, all one motion. Do shooting drills that are going to help build muscle memory and create better ball flight for enhanced free throw shooting percentages. Make players stay on the line as the ball goes through the net. Far too often players fall away from the line, especially on the second FTA, which is a terrible habit. Challenge players to finish their shots by lightly bouncing on their toes with great balance, and do not allow the tippy toe ballerina finish or players crashing down on their heels after shooting the ball. Lastly, coaches must encourage players to limit the motion from start to finish when at the line, less motion equals fewer problems. Getting a bad FT shooter to start with the basketball directly in front of the chin instead of at the belly button or below will help players keep their elbows in and pointed at the target, which will reduce misses and produce more wins. Games and even seasons can be decided from the free throw line. It is something that needs to be emphasized daily with your players at an individual level and as a team. Make sure that you are on the winning side of getting to the free throw line and then making every shot count. 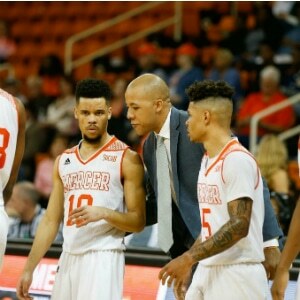 Jarred Merrill has been a part of the Mercer University Bears coaching staff since 2015. Before coming to Mercer, he spent time coaching at Southern Nazarene as an assistant coach. Jarred comes from a playing background as well and spent seven years after college playing professional basketball all over the world.